Inside the Delta Fieldbus Solutions range, we provide several different field-bus (Modbus, Ethernet, CanOpen, Profibus, DeviceNet, etc…) and almost for all of them we have Remote Terminal Units (RTU) to help us to solve us a lot of long distance troubles. 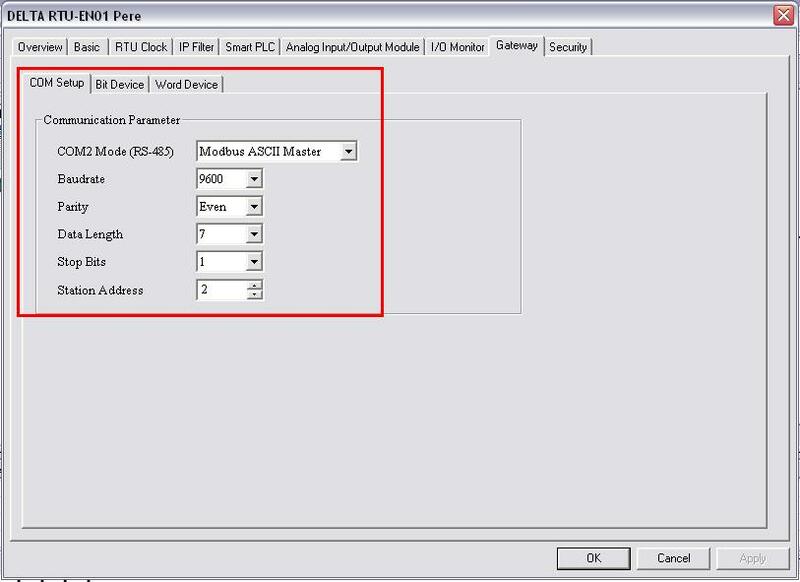 In this case the application is with the Ethernet Modbus TCP/IP Field-bus (RTU-EN01). This device is designed to setup remote I/O trough Ethernet Modbus TCP/IP, but it has also another capability. This device could be the node to have a whole modbus network below him. like the picture attached. So below I’ll try to show you how to access to those slave PLC’s from the SV28 Master like a remote I/O modules. Of course you can connect in spite of PLC’s some inverter, servomotor or temperature controller. 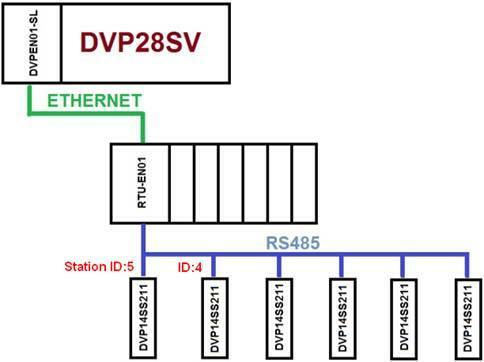 The example consists in receive in the 28SV Master the DI/DO status of the 14SS slaves with ID:4 and 5. 5. 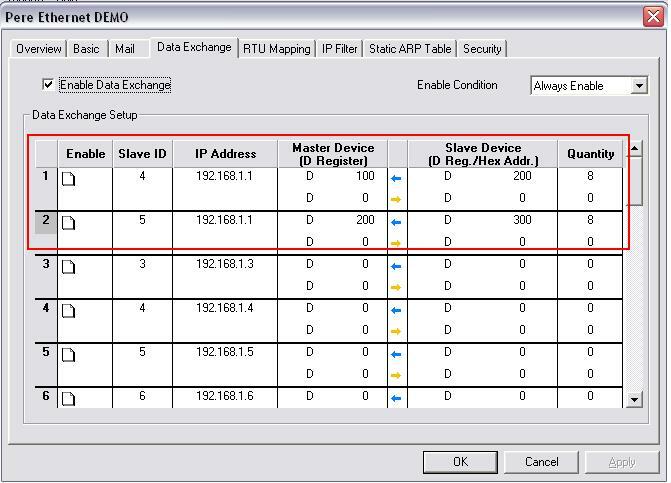 By the way, don’t forget to configure the comunication port of the RTU-EN01 with the same protocol as the 14SS Slaves! Now you only have the problem to decide how big is your network! As soon as I can, I’ll publish some examples of PLC Link. Meanwhile look for this feature in our manuals.